Two New Restaurants Coming To Mishawaka! 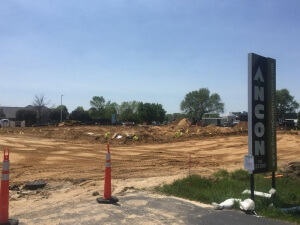 Ancon Construction & JTS Architects out of Elk Grove, IL have recently broken ground on a multi-tenant building being constructed on North Main Street, Mishawaka, IN. The property is next to the existing La-Z-Boy Furniture location. The shell of the building is currently underway and two tenants have already signed to fill the space. The tenants that will fill the spaces will each bring their unique food offerings to the Mishawaka region. Potbelly Sandwich Shop & Pie Five Pizza Co. have recently been announced as the new tenants for the space. Bringing in new restaurants that are not familiar in our region helps increase the diversity of offerings for both local residents and visitors. These two new restaurants add to a growing “Foodie” culture in our region. 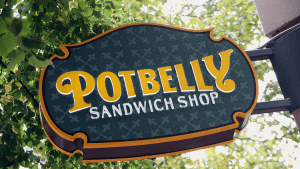 Potbelly and Pie Five Pizza Co. will fill two of the four available spots within the building. There are several other businesses currently in talks to fill the remaining two spots. The project is expected to be completed this September. Check out the article in the South Bend Tribune HERE to learn more! Ancon Construction is proud to continue to build our region and is excited to taste these new unique food offerings!